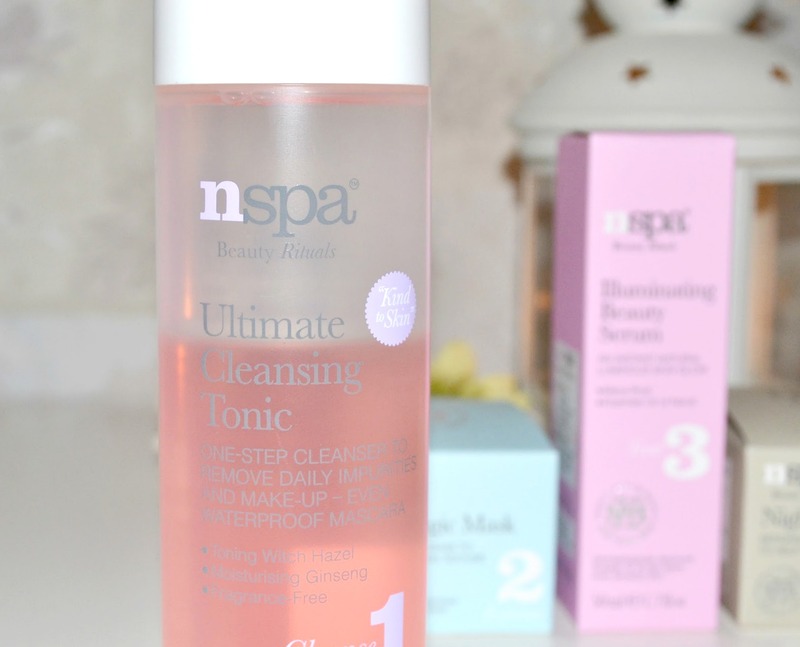 Nspa are really onto a winner with their 'four step' regime; even if you're a complete skincare newbie it's a foolproof way to make sure your skin is getting everything it needs. Skincare definitely isn't my forte, and I'll be the first one to admit that I'm easily bamboozled by the millions of products that promise to keep skin at it's best. I mean, do you use facial oil before or after moisturiser? Are hot cloth cleansers a substitute for an exfoliatior? How the heck are we supposed to know these things?! It's not always completely clear what you're supposed to use and when, and so a regime like this is ideal. The products themselves are gorgeous high quality that will work for just about anyone, they're inexpensive to buy and you can almost always find them as part of a promotional offer. Essentially you mix and match from a wide selection of Nspa products, choosing one from each of the 'cleanse, exfoliate, treat and moisturise' categories (flexible while still being structured? talk about perfect!) Each category is clearly marked with a number, and so you can pick your favourite from each section to create your perfect custom skincare routine. 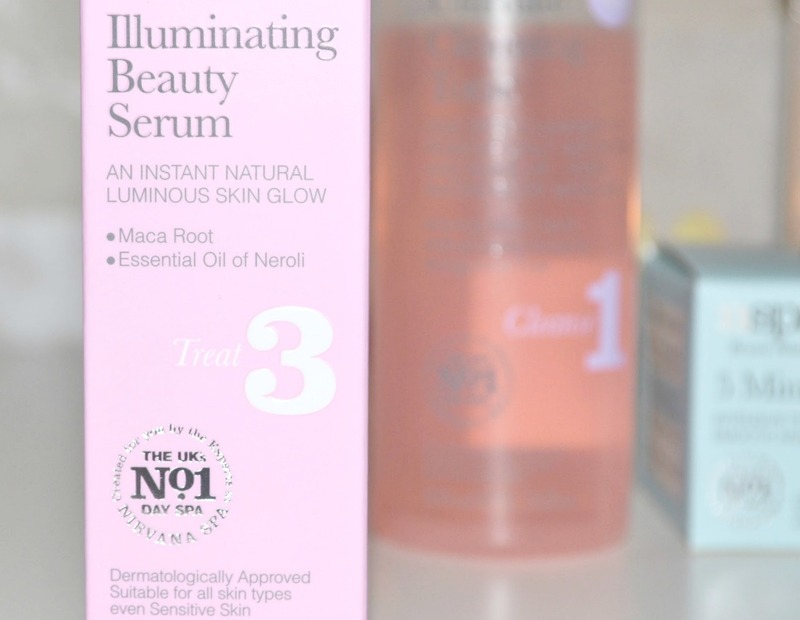 I've tried a lot from this brand now and they continue to impress me- while these four were sent to me to review I genuinely buy Nspa products myself at least every couple of weeks- I'm seriously in love. I'm currently obsessing over their body mists, review coming soon! The Ultimate Cleansing Tonic separates into two liquids in the bottle, which you shake up before using. It contains ingredients like witch hazel and ginseng which are great for the skin, and is fragrance free. You could either use this before washing your face to remove most of the excess oils and makeup on your face, or after washing as a toner. Unlike most toners it doesn't contain alcohol so wont leave your skin feeling stripped, dry or tight. Judging by how this looked in the bottle I expected it to feel quite oily on the skin but it's not the case at all- a really nice product and a change from standard witch hazel that I've used as a toner for years. 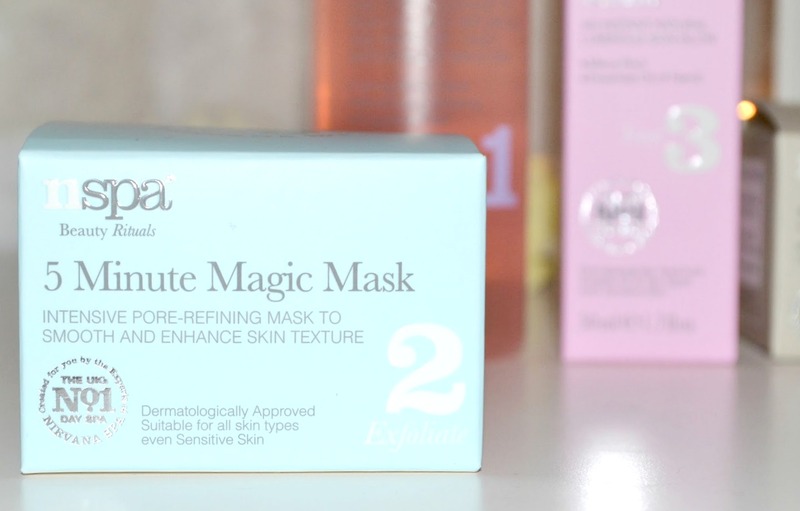 This is possibly my favourite Nspa skincare product that I've tried so far, high praise indeed! As a pamper-a-holic I was glad to see they'd added a face mask to the range, I love face masks and hair masks and anything that gets right in there and makes a real difference. This is a pink coloured mask that contains soft beads containing vitamin E, you gently massage this into the skin and the beads dissolve. Five minutes later, viola lovely soft skin. I really like the fact that this only takes five minutes, I start getting impatient when masks take twenty odd minutes to work. 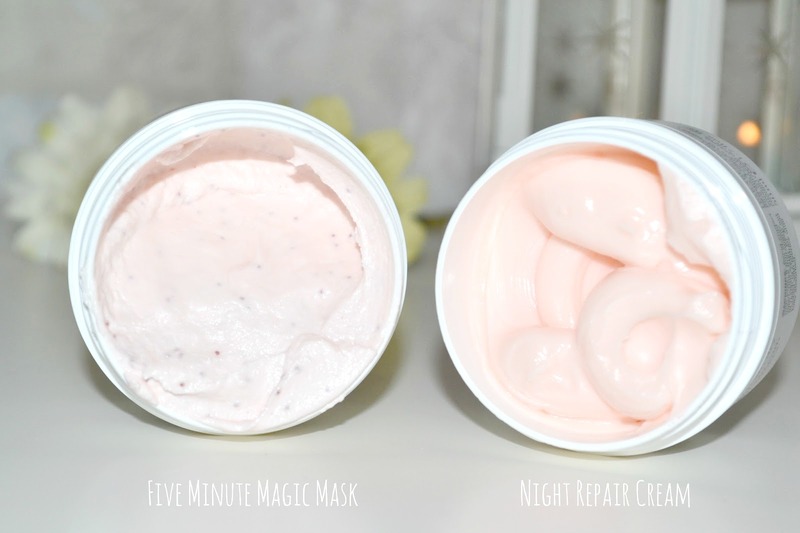 A lovely rich night cream, it smells amazing and works perfectly. 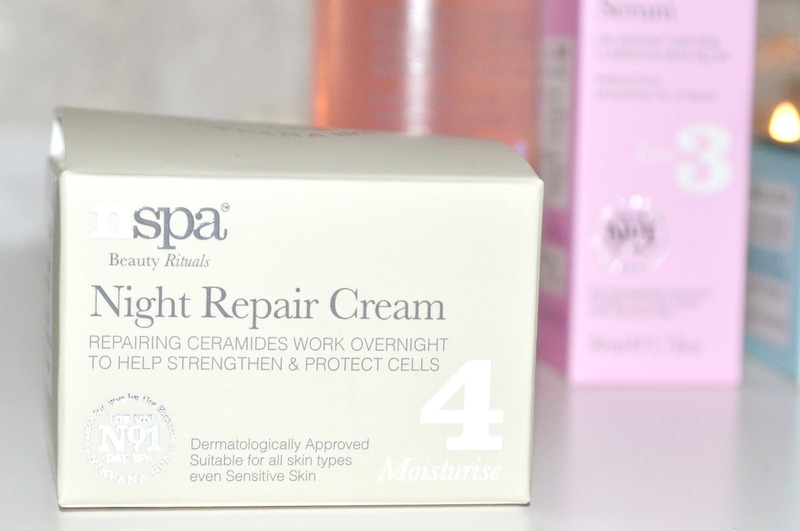 This is just as nice as any other highstreet night creams I've tried and is on the less expensive side of the spectrum too. It works well with the other products in the line, and you could easily get away with just this in the evenings if you wanted to keep your routine simple. Have you tried Nspa's four step skincare regime? Which products did you go for? I used to be a big fan of nSpa bath and body products, but then I moved and now I just don't have an Asda anywhere near me. I'm looking forward to try some more of their range when I move again! Hey I'm a new follower, and your blog is so lovely! And I'm so tempted to buy this now! Great blog! Thanks for sharing. I'm definitely following you, very informative! Please continue to write more.